Create amazing appetizers and side dishes using just one bowl! 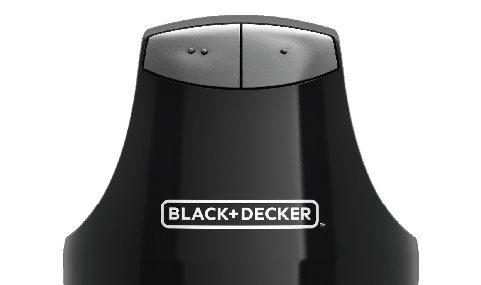 The BLACK+DECKER™ EHC3002B 4-Cup Glass Bowl Chopper lets you prep, mix, heat, serve, and store in the two glass bowls (storage lids included). 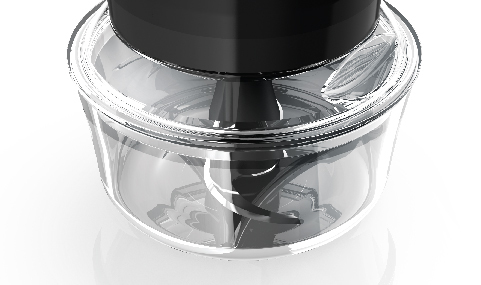 The powerful chopper attaches securely to the bowls, and the high/low pulse control makes it easy to create salsas, dips, and more. 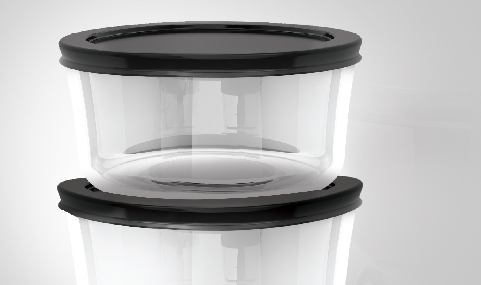 The included glass bowls can be used in the oven (up to 415°F), freezer, refrigerator, and microwave. Plus, cleanup is simple thanks to the dishwasher-safe bowls, lids, and blade. The motor provides 150 watts of power to take care of every task. Two glass 4-cup bowls with lids are great for prep, serving, and storage. Safe for use in the microwave, freezer, and oven. on most standard 4-cup glass bowls, and disassembles for easy cleanup. Glass Bowl Chopper is rated 4.0 out of 5 by 4. Rated 5 out of 5 by Connie May from Best chopper I've ever owned! I have own probably one of everyone that's been on the market, and being 62 years old, I can say this is the most convient and easiest to use I have ever used, with the bowls, I can chopped everything for soups and stews in know time! I'm going to buy a red one to match my other red appliances! I'll never use any other, now! Rated 5 out of 5 by Thorn 01 from Love this little chopper... I bought this for little chopping jobs. It does an unbelievable job on onions. I use it to make French Onion Soup. I cut the onion in quarters or 8ths if it is super large. It makes very small onion pieces. Plus shredded carrots (chopped further), cabbage and mushrooms too. My 14 year old LOVES this soup. I don't have to spend hours of chopping. Plus the clean up is a breeze...toss all parts (except motor) into dishwasher. I am thinking of buying a 2nd one for work. Rated 5 out of 5 by Kris from Great results! We just bought this to use to make puree. While reading the accompanying instruction booklet, I found a recipe for rotisserie chicken salad and decided to try it using leftover Thanksgiving turkey. I followed the directions and it came out perfectly! Smooth, even texture and delicious! For just the two of us, it makes smaller portions... Less waste. I'm very satisfied with this product! Rated 1 out of 5 by SBergener from Doesn't work I used this once for 3 minutes to chop up some tomatoes. When I went to chop my second batch, it didn't worked. I've tried everything and it doesn't work. WASTE OF MONEY. Save yourself the trouble and get something different. SO NOT HAPPY. Can this chopper make purees?